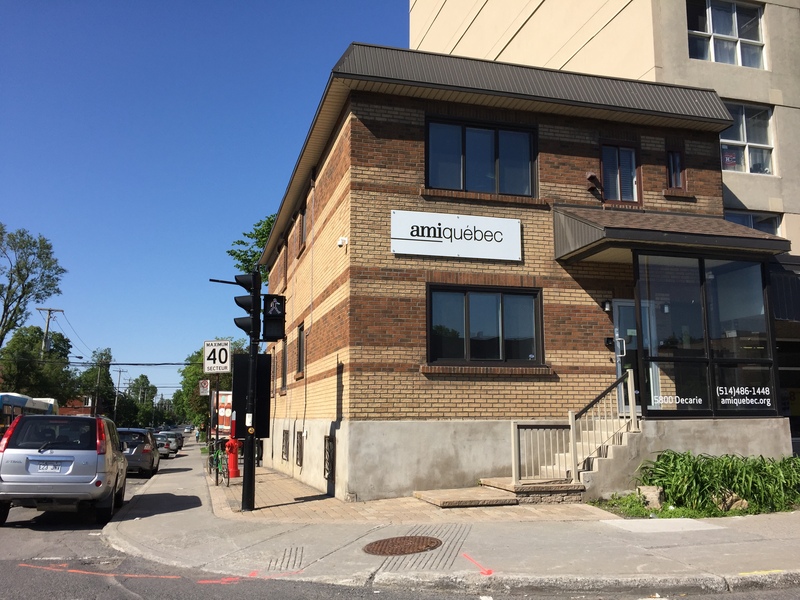 AMI-Quebec Action on Mental Illness is a non-profit organization that helps families manage the effects of mental illness through support, education, guidance, and advocacy. 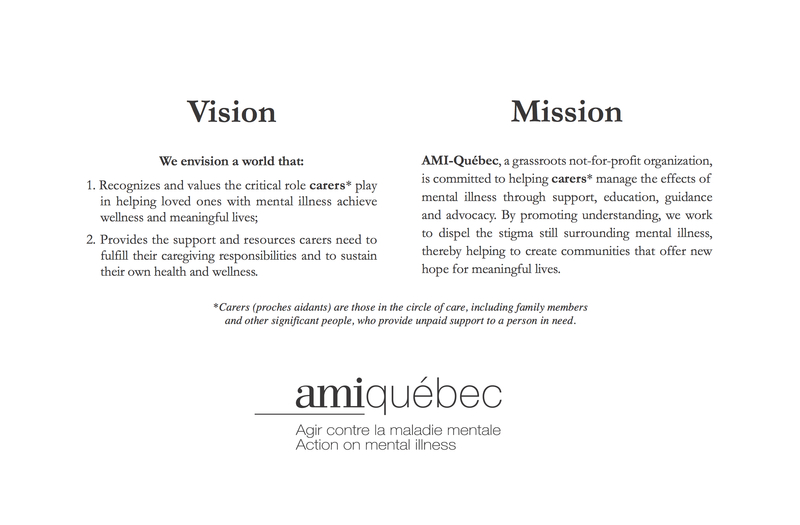 AMI-Quebec helps family caregivers cope with mental illness in a loved one. Family includes those in the circle of support of someone living with mental illness (parents, spouses, siblings, adult children, friends, etc.) Many of our programs are open to anyone and may also be of special interest to those living with mental illnesses. Caregiving is often a difficult and long-term task for which family members are not necessarily prepared. We help families to cope with these difficulties by better understanding mental illness and their own situations. This helps caregivers to provide the best support to their loved one while taking care of their own well-being. Our office is in Montreal (5800 boul. Decarie). Some of our programs are available across Quebec by phone or internet. Our office is open Mondays-Thursdays 9am-5pm and Fridays from 9am-4pm. Please continue to explore our website for details about our programs and activities.